Bedlington Magistrates' Court. Image copyright Google Maps. 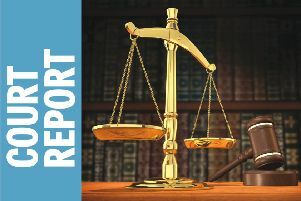 The number of magistrates in the Northumbria service, which covers courts in Bedlington and Berwick, has plummeted by more than a third in just three years – one of the steepest drops across the whole of England and Wales. Now an independent charity is warning that dwindling magistrate numbers could have an impact on the administration of justice. Figures from the Courts and Tribunals Judiciary show that there are 421 magistrates currently sitting in the area, compared with 662 three years ago. Magistrate numbers are falling significantly in England and Wales, from nearly 20,000 magistrates in 2015 to just over 15,000 this year – a drop of around 25%. The Magistrates’ Association has said that it is increasingly hearing from its members that magistrates are sitting in benches of two, rather than three, including during trials – due to shortages and magistrates needing to drop out. Association chief executive Jon Collins said: “Three people will always be able to make better decisions. Charity director and former magistrate Penelope Gibbs said: “In these cases the bench is likely to be less diverse, and decisions not as fair. “It’s a principle of judgement by peers that magistrates should sit as three, so there can always be a majority. Her Majesty’s Courts and Tribunals Service (HMCTS) has said that during the last 10 years the workload in the magistrates’ court has reduced, but according to Transform Justice, the cuts have gone too far. “But we think we need to recruit significantly more than that,” he said. Of the magistrates in Northumbria, 97% are white, and 60% are over 60. There are no magistrates under 30. “This is money that would more than be repaid in the thousands of volunteer hours that magistrates put in to keep the justice system going,” Mr Collins said. Since 2016, at least six magistrates’ courts have closed in the North East justice area as part of a Government initiative to “modernise” the court system and cut down on costs. An HMCTS spokesperson said: “With an increasing use of digital services, it makes sense to consider where and how justice is administered. Law Society president Christina Blacklaws said: “Magistrates have to travel further, unpaid, for the privilege of sitting as a magistrate, and they lose the close connection to local justice in their home area that often attracts people to the role in the first place. “This particularly affects people in rural areas, those with disabilities, and lower income families.